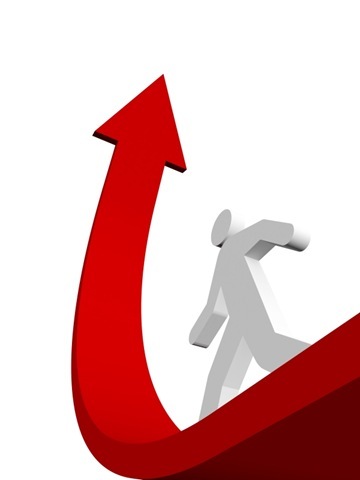 With the New Year approaching it’s time to review our goals for the coming year. It’s a great time to look into the future and go over our one, three, and five year plans. There is nothing better than to plan out a course of action… a roadmap if you will… of the roads and paths we will take to get there. For myself I have been developing some printed documents that help me visualize where I am going. I am setting one up for each of my major goals. They list the goal in bold type and then the steps it will take to get there. 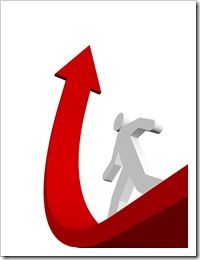 Since they are organized by goal all the steps to accomplish them are easy to see and in one place. The problem is, I like to keep my goals where I can see and review them during the day. I have tried leaving them on my desk, posting them on my computer, and even framing them on my wall, but nothing seems to work better than a plain old…. Notebook. This simple binder gives me easy access anytime I want it, yet allows me to store them away for a tidy work area. 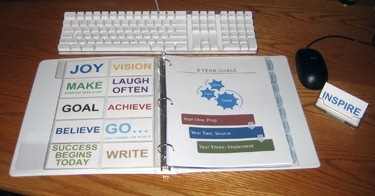 I have setup dividers for the different length goals so they are easily accessible for reference. A cool trick that I have found is to use a business card page in my goal setting organizer to keep some of my Goal Setting and Motivator cards in for quick access. 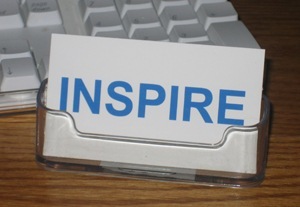 I like to keep a plastic business card holder on my desk to put my goals or daily motivator cards where I can see them at all times. The business card page gives me a place to store and access these cards that I put in the holder. This notebook works great along with a Daily Planning Sheet. It’s easy to reference action steps from the goal documents and copy them onto my daily planner. 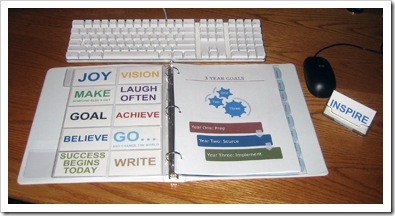 Here is a simple strategy for putting together a Goal based notebook. For a quick start you can download our Goal Setting Toolkit and Motivator cards. 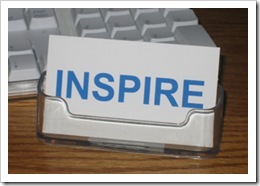 Modify the cards for your needs and print them out on Avery Business Card Stock. In your notebook include a plastic Business Card Page. Store your numerous cards for quick reference. 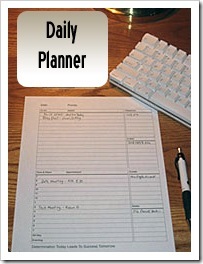 If you use a larger notebook you can setup a section to store your Daily Planning Sheets before and after you use them along with a section for your Lifetime Goals Questionnaire. To keep up to date with our upcoming goal setting tools and notebook, be sure to subscribe to our RSS feed and sign up for our Success-Connect Newsletter. Have a Successful New Year!